The Canadian Bible Society (CBS) is looking for a dedicated Graphic Designer & Marketing Coordinator who will support the marketing, communication, digital and social media areas of the organization as well as the Scripture Resources team through effective communications and fundraising initiatives. Primary responsibilities will include social media content and campaigns, graphic design of print and digital media, and overall support to the communication and marketing strategies of the CBS. Provide creative, innovative and compelling graphic design for print and digital media including brochures, pamphlets, book covers and other print production, and promotional and fundraising materials, website banners, digital ads and digital communication pieces. Support the overall social media strategy through analysis of results and implement content strategies for growth. A creative eye, and an ability to weave big picture messaging into a digital communication strategy. Join our growing team at this exciting time! Please forward your CV along with a cover letter detailing your interest in this position and the Canadian Bible Society, to humanresources@biblesociety.ca. 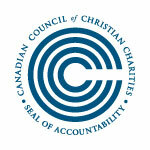 What does the Canadian Bible Society Do? We are an interdenominational organization partnering with individuals, churches, and religious organizations who similarly believe that God’s Word changes hearts and lives. Whether in support of Canada’s latest incoming refugees or those affected by human trafficking in partnering countries, we continue to proudly contribute to the spiritual development of the people we reach, both in Canada and overseas. As we celebrate 111 years of ministry in Canada and abroad, the Canadian Bible Society (CBS), is uniquely poised to fulfill its mission to translate, publish, distribute, and encourage engagement with the Christian Scriptures.